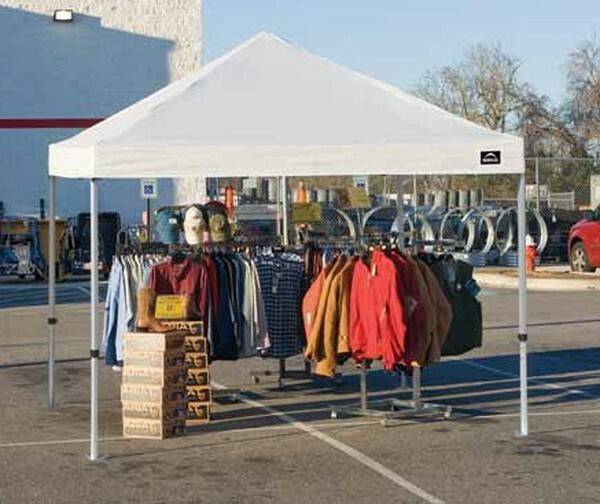 We carry an excellent inventory of canopies and pop-up carport shelters in a wide variety of colors and sizes for all-purpose outdoor use. 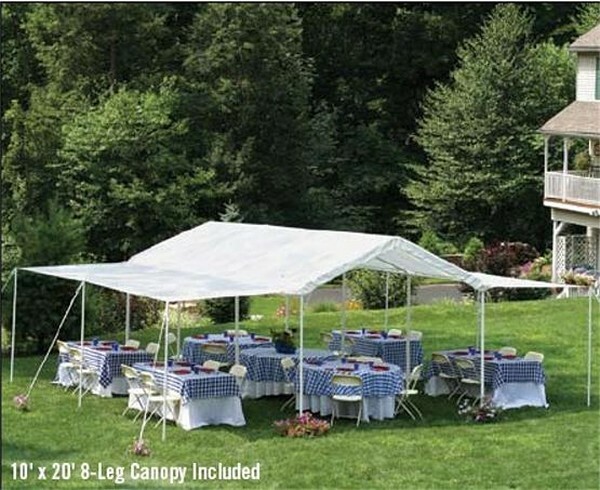 Easy up portable out door canopies are durable and made to last. 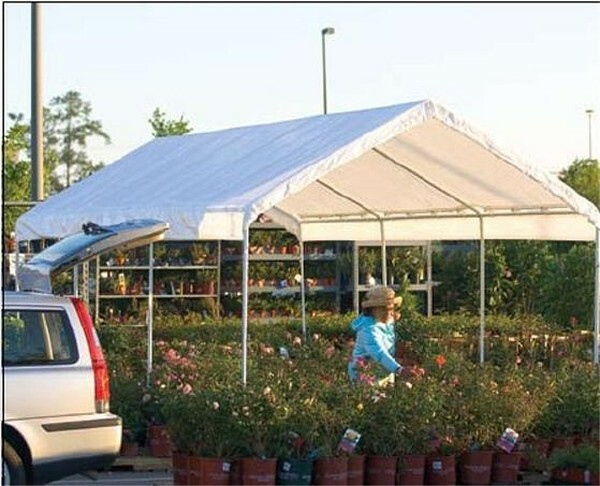 These pop-upcanopies feature water-repellant polyester fabric and are treated to resistant to harmful UV rays and even mildew. 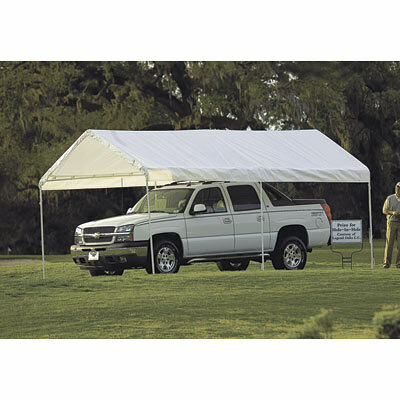 These solid tarps clamp to any flat surface or table, which makes them ideal for camping, recreational outdoor activities, storm shelters and portable carports. 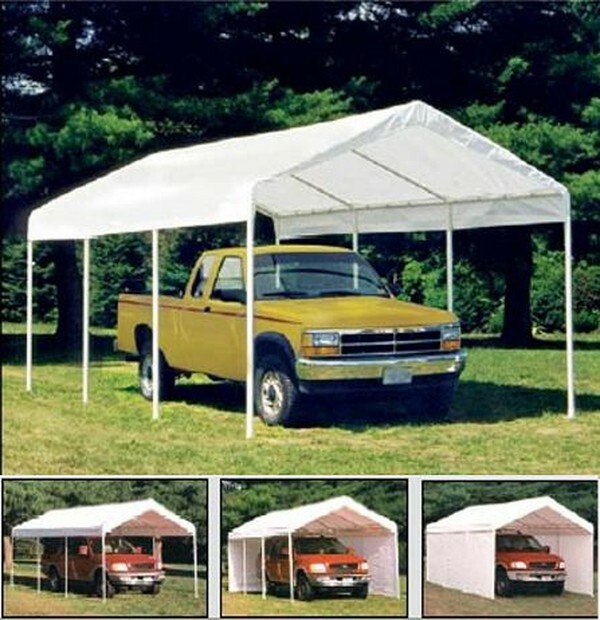 Lightweight by design you can easily roll up these tarps and transport. 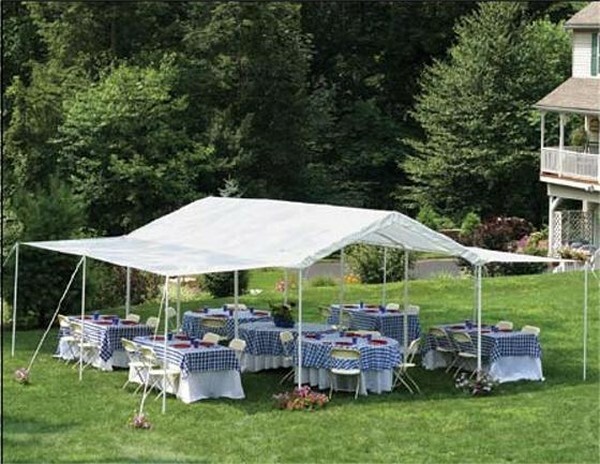 Instant pop-up canopies are great for reception tents, event awnings and even large gatherings that will need protection from either sunlight or foul weather. 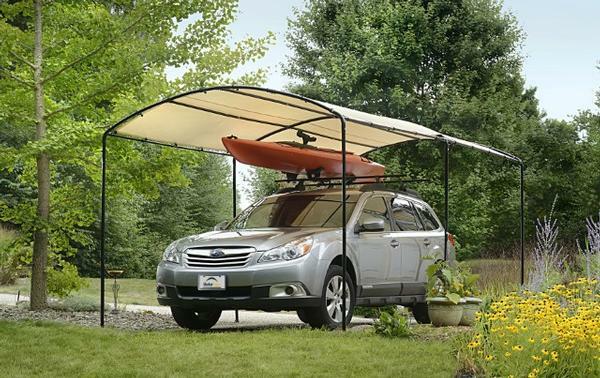 Certain models feature screen inserts so you can repel insects and mosquitoes when camping, hiking or enjoying a simple backyard barbecue. 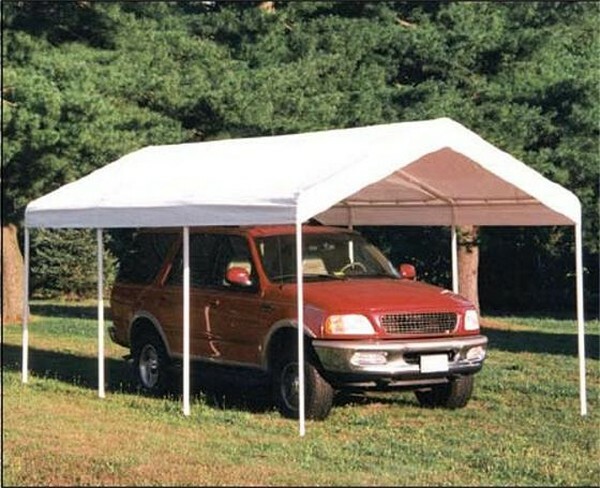 Canopies and carports come in a great selection of colors including blue, white, red, checkered, hunter green and even camouflage. 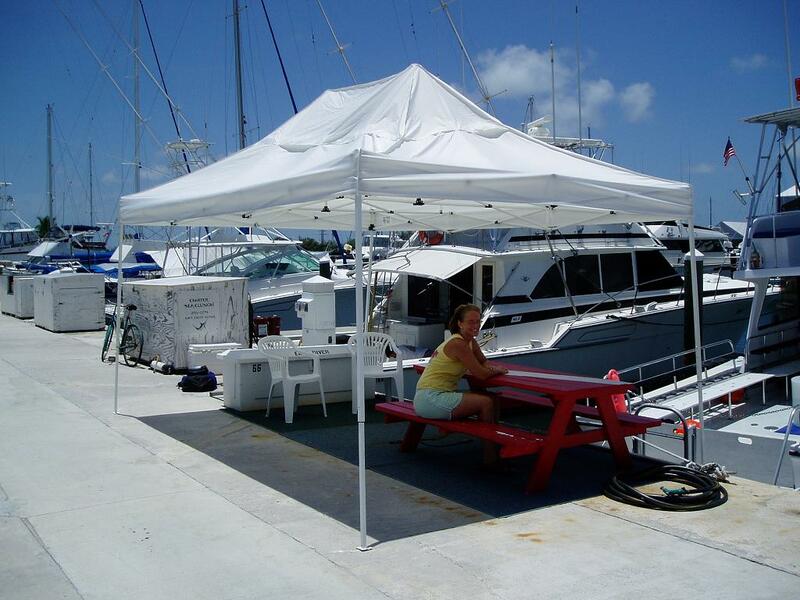 Commercial grade canopies have ample room for large boats including yachts and can easily store RV’s, campers, trucks and truck trailers. 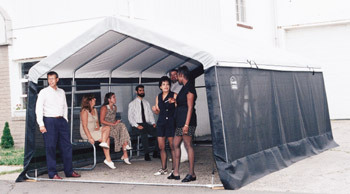 Commercial grade canopies also come in decorative frames to provide high quality shelter and protection for out door events like weddings, receptions and dinner parties.